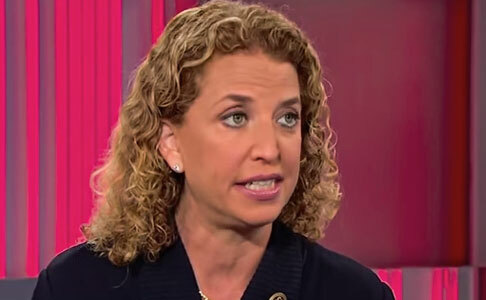 Debbie Wasserman Schultz, often blamed for ignoring Democrats in historically Republican leaning states and leaving the Democratic Party virtually bankrupt going into the 2016 election cycle, is set to leave her post as head of the DNC. Her replacement, Brandon Davis, is a union leader for the Service Employees International Union, reports multiple news outlets, including CNN, despite no official announcement being made. Schultz will still be the chairwoman, but Davis will be the official General Election Chief of Staff, which makes him the official leader of the Democratic Party throughout the general election. After a meeting between presidential candidate Bernie Sanders and presumptive nominee Hillary Clinton, the Clinton campaign has made it clear they are listening to the voices of the Sanders campaign who are outraged by Schultz’s actions throughout the 2015-2016 presidential race, and the DNC in general. Sanders, who spoke through a live televised speech through the medium of The Young Turks on Thursday, explained that he was not conceding and was continuing the fight to change the Democratic party through to the convention on July 25th and beyond. He did not explain whether he would endorse Clinton, despite the change in leadership in the party.